June 29. U.P. Advisory Council met with Governor Edgardo M. Chatto and Provincial Officials. Itâ€™s always an honor, service, and learning experience for us in the U.P. Advisory Council to meet with the Governor and provincial officials as invited. We feel free to comment on development issues and problems raised, or we perceive. And we on the U.P. Advisory Council find the dialogue is enlightening to both sides. Itâ€™s an invaluable experience not commonly shared in many provinces that do not have creative and humble leaders and invited university advisory councils. 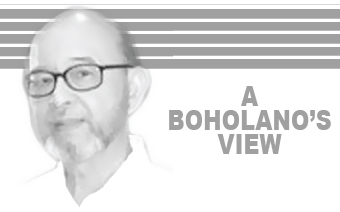 Governor Chatto and his provincial officials are exceptional leaders in their grand vision and acute sense of mission for Bohol and all of us, Boholanos. They are truly accountable to their constituents in a working democratic system. Their working reports are so well organized and documented. These may be shared with other provincial governors and regional development councils. And if available in the Internet these can be readily accessed. June 30. Bohol Provincial and Congressional leaders take their oath of office and deliver their reports to the assembled leaders of government, business, and civil society. It took the whole day of learning and enjoyment and pride. How can local democracy be so functional and enjoyable! It also included a display of the lady beauties of the province and the musical presentation of the Loboc Choir. Pagka maayo ug masulundon! Ug makalingawon!